I stayed out til 10pm, in the rain, lightning, darkness and mosquitos but I’ve started to take back our land from the animals. 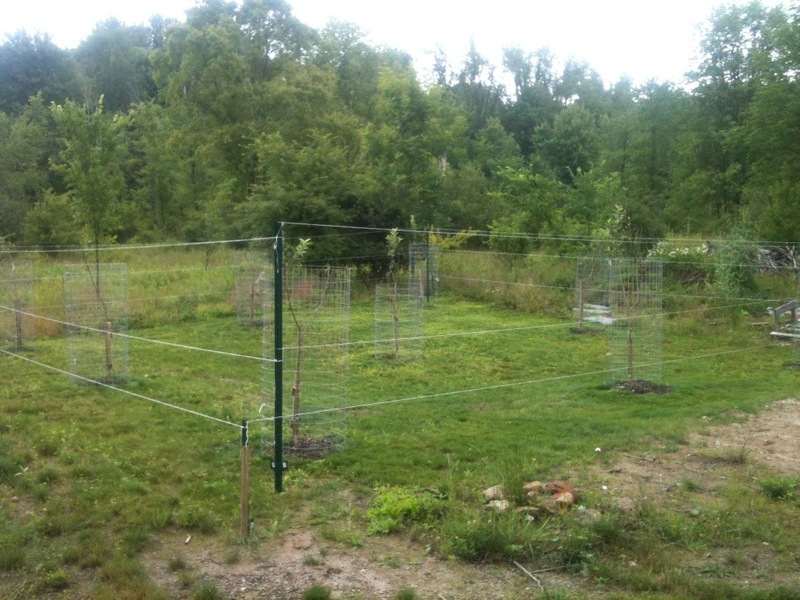 $125 and two hours later I’ve given my apple trees some degree of protection from the greedy hateful deer. This entry was posted in Acts of God, Apple Orchard, Land, Landscaping, Living There by Chris. Bookmark the permalink.